The Ghost (in the US The Ghost Writer) proves that it is still possible to produce grown-up mainstream films. 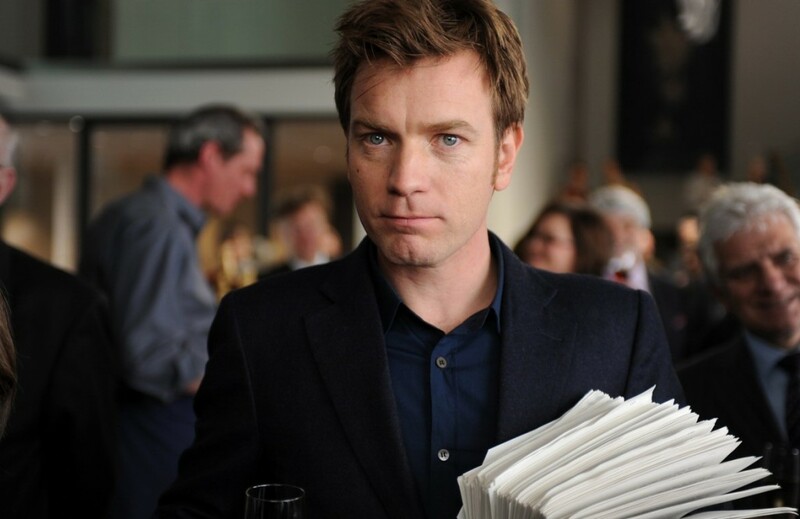 Ewan McGregor can act (why does he take so many crap roles when he doesn’t need to? ), Olivia Williams is electric and on a technical level this is the best-made film I’ve seen in a long time. The most often quoted reference is North By Northwest and it’s not hard to see why. McGregor is no Cary Grant but he has a similar mix of naivete, charm and base cunning (though not enough in the end). The score by Alexandre Desplat is very Hitchcockian (Herrmannian?) and the photography by Pawel Edelman is particularly good. The script is terrific – especially delivered by performers of this standard directed by Polanski. I was surprised at just how witty the film was – I laughed more than in most so-called comedies. The negative critics of this film are completely at sea. There is no point attacking the ‘seriousness’ of the plot. In a thriller like this, realism is not really an issue. The entertainment depends on the performances, camerawork, editing, music and design – and a director who knows what to do. I hope Martin Scorsese watches it and reflects on Shutter Island. A 4-2 win for Polanski I think. This entry was posted in British Cinema, European Cinema, French Cinema, German Cinema. Bookmark the permalink. Yes, your right Roy, the reference to NBN was one I overlooked. And I do agree on both points, McGregor can act and Polanski does trounce Scorsese on this occasion. The other film I was reminded of was Hardy’s The Wicker Man. How do you think will fare in terms of commercial prospects? It has been given a relatively wide release. However, I watched this one in an empty cinema. Omar, like you, I was worried that this film might not succeed. It seems targeted at older audiences who don’t always respond to wide releases immediately. Good news then that after two weeks it has made over £2 million and only dropped 27% from week 1. £1,840 per screen is a healthy average. I enjoyed the film and it is well done. What I thought most interesting was the way the film references earlier work by Polanski himself. The basic triangle and its situation reminded me of his first feature, Knife in the Water. The island setting recalls Cul-de-sac. And the ending suggests Chinatown. Both films have a strong noir element. In Chinatown Nicholson just about manages to be a seeker hero who survives, badly beaten. In The Ghost, McGregor is clearly a victim hero. And I strongly suspect that Robert Harris is a Graham Greene fan.